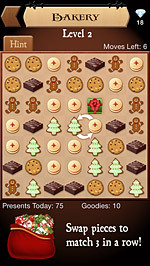 Play Santa Craft on your iPhone! 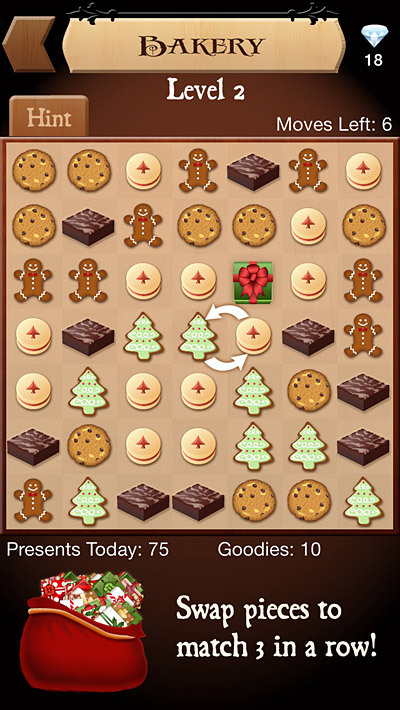 Help Santa get ready for Christmas in this iPhone match 3 game like Candy Crush! Santa needs your help getting ready for Christmas! 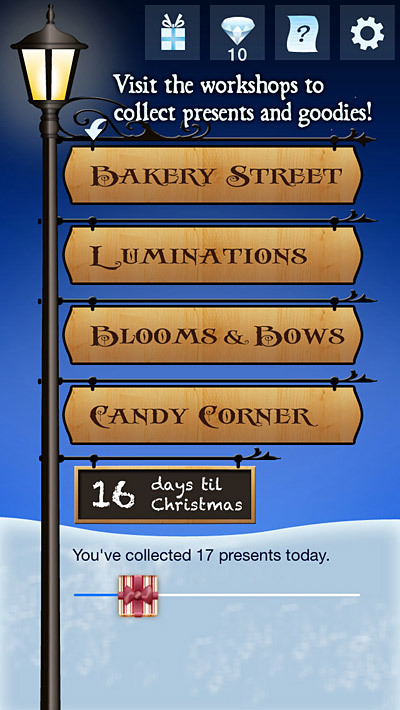 Visit Santa's workshops, matching goodies and collecting presents! Then help decorate in the Blooms & Bows workshop with poinsettias, amaryllis, wreaths, ornaments, and bows! Get illuminated in the Luminations workshop where you'll match colored lights, mini lights, luminarias, candles, and stars! And satify your sweet tooth in the Candy Corner shop, with sweet treats like peppermints, candy canes, and chocolate truffles and kisses. Sugar rush! How to play: Just swap any two adjacent pieces to make a match of 3 or more. Line up a present at the end of a match and you collect the present! Get four or more in a row to collect a goodie. Get five in a row and unlock the shop present! And if you can match three presents in a row, you earn a gem! 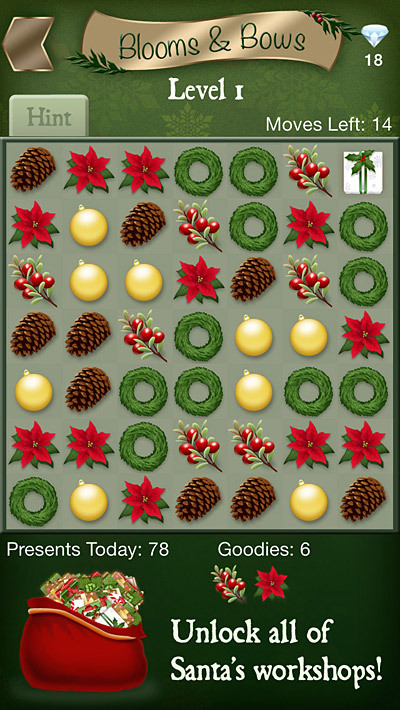 Daily present totals are reset at midnight, when the elves load the presents into Santa's sleigh. 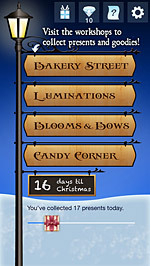 Help Santa collect as many presents as possible in time for Christmas! 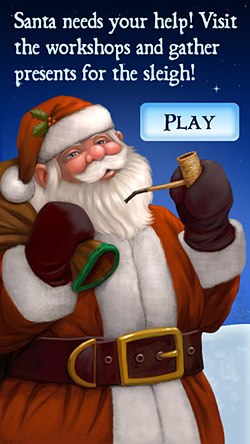 The Santa art on the splash screen and icon is by artist Karyn Lewis Bonfiglio. Visit www.karynlewis.com to view her other art! All other app art, design and programming was done by J. Kira Hamilton. Special thanks to Steve Jackson for playtesting the app!